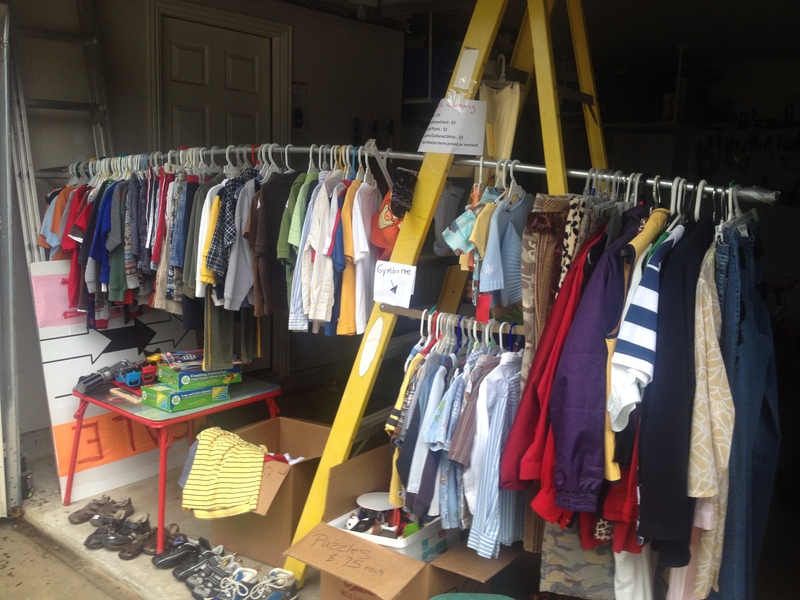 Tips to have a successful Garage Sale! Home Home Hacks Cleaning/Organizing 12 Tips to have a ROCKIN’ Garage Sale! 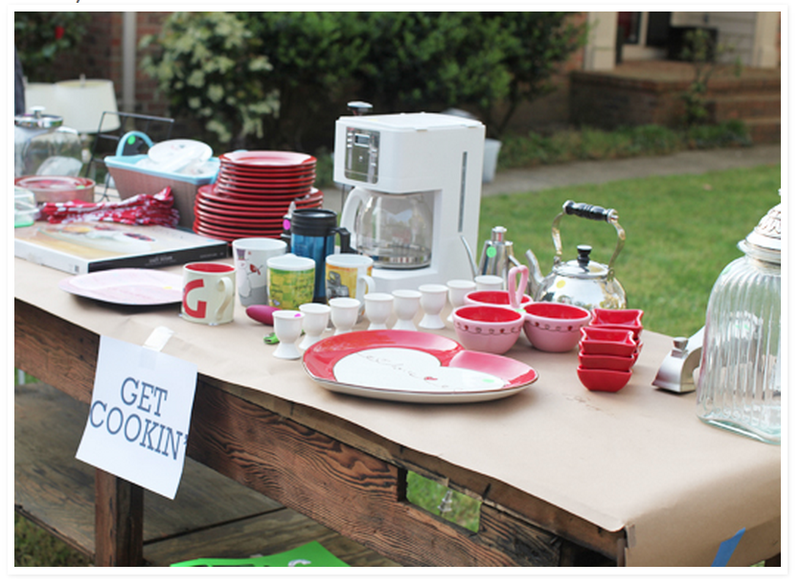 12 Tips to have a ROCKIN’ Garage Sale! Isn’t it amazing how much stuff we tend to collect and let pile up in our homes? 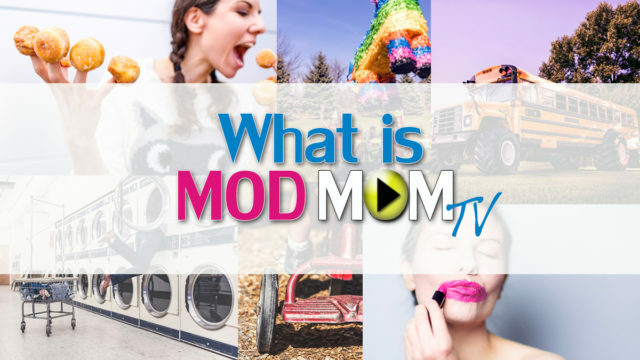 From closets stuffed with clothes we haven’t worn since before Friends was in syndication, to countless kitchen gadgets and “must-have” home essentials, it’s probably time to take a look and see what items you can purge. 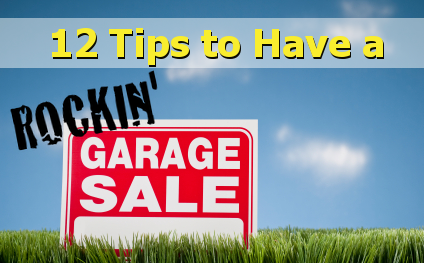 Below are some 12 tips to help you have a successful, money-making ROCKIN’ garage sale! 1. Price it Right. Everything should have a price tag. 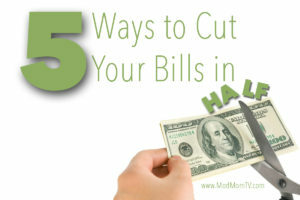 Don’t leave it up to the shopper to guess how much an item costs, or even worse, haggle with you over every single item. Also, use common sense when pricing items. If you wouldn’t pay $10 for a set of used dishes, no one else will. 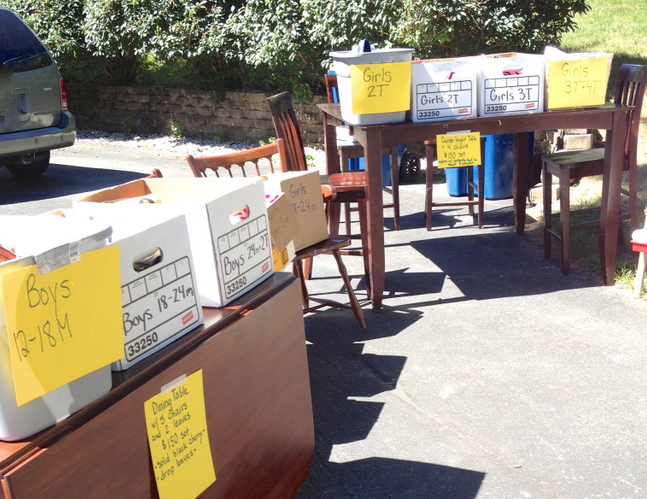 Psssst….It’s a garage sale, not a fancy antique store. 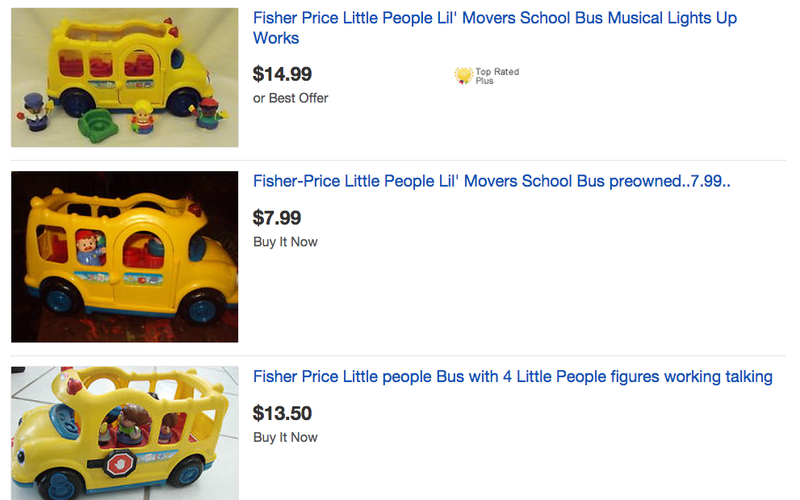 People are there to find deals, not to fawn over your grandmother’s old wicker table and your kid’s beat-up tricycle. 2. 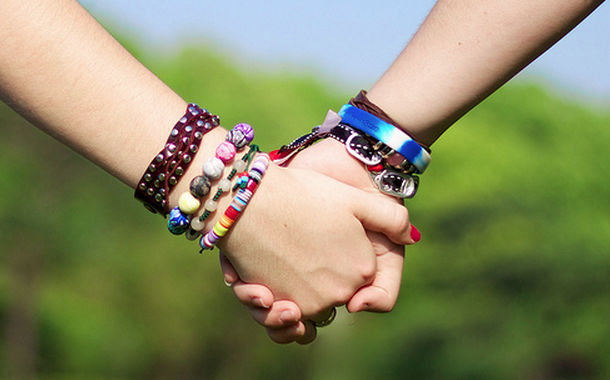 Find a Friend. 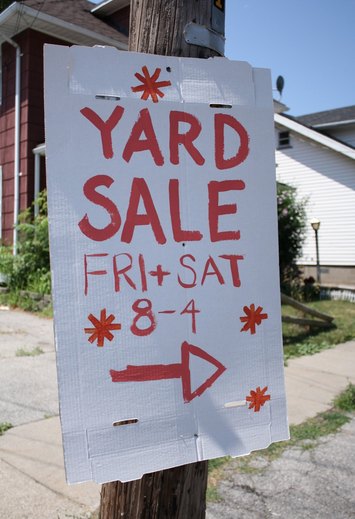 If you can team up with a friend or neighbor, your garage sale will not only be more fun, but you’ll probably sell more items because more stuff draws = bigger crowds. 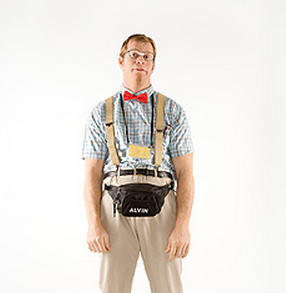 Plus, if you have to go pee, someone can cover for you. 3. Obey the Rules. Some cities require you to have a permit to run a garage sale or will only allow you to hold a certain number of sales per year, so be sure to check with your local ordinances to avoid being shut down, or even worse, getting a fine. And remember, having visible signage is key to bringing in shoppers. 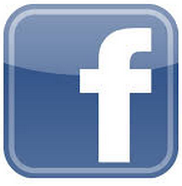 BUT make sure you know your city ordinances on where signs can be placed and when they can be set out. FYI…medians and telephone poles are usually off limits. 4. Appeal to Drive-by Lookers. Entice people to come shop by placing your largest, most valuable or interesting items in the most visible spots. 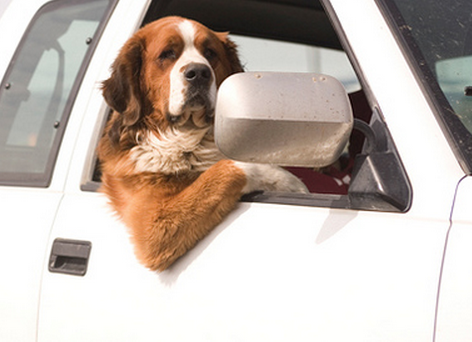 Many shoppers determine whether or not they’ll stop at your sale by what they can see from the comfort of their car. 5. Hang it Up. Don’t look like a fool with your pants on the ground. Instead, I guarantee you’ll sell more clothing if you take a little extra time to hang up items and group them by size and style. And you don’t need a fancy apparel rack to do this. I use a $3 galvanized pipe placed in between a utility shelf and an A-frame ladder. If you’re selling accessories like scarves or jewelry, stretch a rope between two trees and use binder clips to neatly display the items. Easy peasy! 6. Keep it together. Place similar items together and you will sell more. Have designated areas for clothing, kitchen items, home decor, CD/DVDs, books, kid’s stuff, furniture and shoes. 7. Beware of the Bad Guys. I’m annoyed that I even have to mention this, but there are some super-lame people out there who will actually steal from garage sales. Yep, that’s just pure pitifulness. It happened to me once. How did they do it? They swarmed the sale. It was a group of 5-6 people (even worse, it was a family with kids!). One person came up and asked me a question, to distract me, while someone else grabbed the item and walked off. Also, do not use a cash box. Keep your money on you at all times. 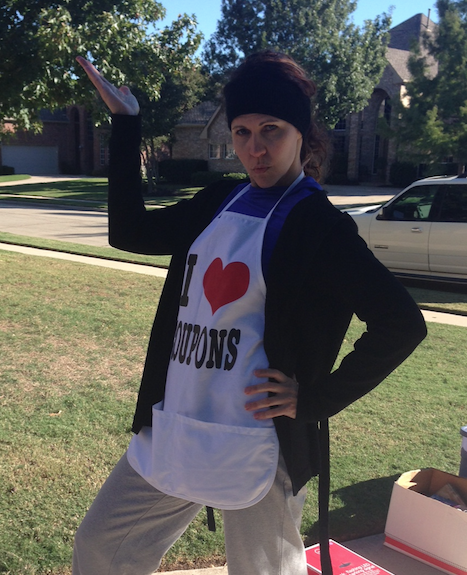 You can choose to wear a nerdy fanny pack…or a cool “I ♥ COUPONS” apron like me! 8. Have a Pre-Sale. If you’re ahead of the game (which I’m usually not) and ready early for your sale, take pictures of a few of your items, your organized tables and hanging clothes, then post a special “1-day, appointment only, pre-sale” on Craiglist or Facebook. You’ll be amazed at how much traffic it will generate and how much money you’ll make before the official sale even begins! 9. Dare to Compare. If I’m selling an expensive, rare or popular item, I’ll find an ad for the same item on eBay or Craigslist, print it out and tape it to the item. Then, if a shopper tries to beat me up on the price, I’ll just tell him to look at the attached ad and see what it’s selling for elsewhere. Works. Every. Time. 10. Box it Up. I love to use cardboard boxes to help organize items. For multiple items like kid’s toys, shoes or linens, it’s easy to toss them in separate bankers boxes and mark the price on the outside with a Sharpie. For smaller items, like kitchen utensils, stationery, candles, electronic cables and more, I’ll use shoeboxes or old Amazon boxes. Even better, when the sale is over, you can toss all remaining sale items in the boxes and they’re ready to be donated to you favorite non-profit. 11. Chat it up. Be friendly to your shoppers. They probably feel weird enough pawing through your old underwear, so break the tension with a conversation. 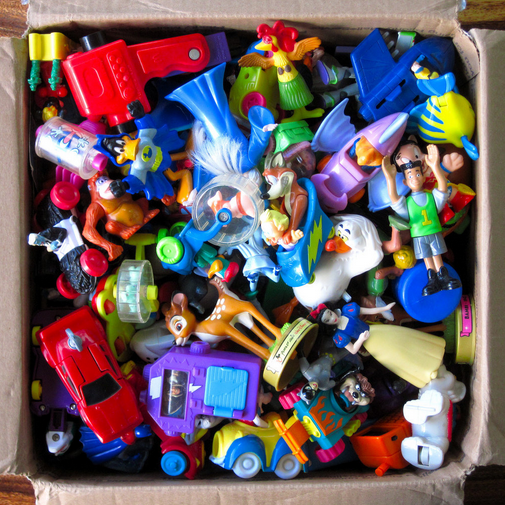 Also, I have a box full of small little toys and encourage kids to pick one out for FREE. This gives everyone some warm fuzzies…and as a result, they usually end up buying more. 12. Declutter and Price Sale Items Year-round. 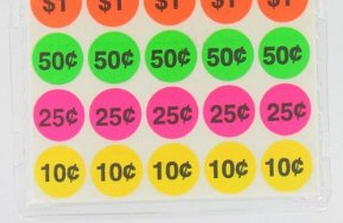 So that I’m always ready for the next sale, I keep pricing stickers handy in a kitchen drawer. Anytime I come upon an item we no longer need, I’ll price it and stick it in a box. Once that box is full, I’ll move it to the garage or attic, then start a new box. This simple, year-round routine makes the days leading up to a sale SO much easier and quicker. 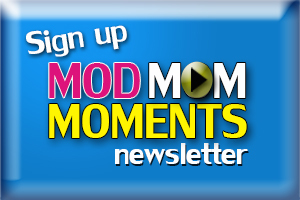 Now, are you inspired and ready to have your own garage sale??? Print this awesome Garage Sale Checklist from Organized Home for even more specifics on how to have a ROCKIN sale!